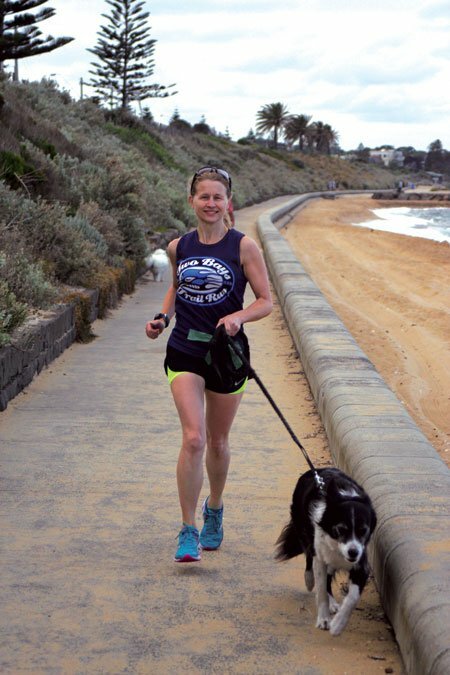 Dr Caroline Thursfield of North Road Veterinary Centre in Gardenvale, VIC, is the recipient of the Worldwide Veterinary Service charity ballot place in the 2019 London Marathon. “I took up running about five years ago to improve my fitness. My first day’s goal was to try and run for 10 minutes without feeling sick. Even though it was a struggle, I loved being outside and enjoyed the freedom to do your own thing. “I continued training and started challenging myself to reach certain goals. I also found running to be a great way to switch off after a stressful day at work. I have my own running buddy—my border collie Angus—and he adds a whole other level of enjoyment. “I then joined a running group, the Crosbie Crew, who provided a great friendship network as well as improving my running. After that it all became a bit of an obsession with me. I started entering events and it has become a regular part of my weekly routine. “I really enjoy a long Sunday run of about 20ks. You’re outside, chatting with people as you’re jogging and then going out for breakfast afterwards. All the organised runs have community volunteers giving up their weekend morning just to cheer you on, ring cowbells and generally help out. It’s a fantastic environment. “There’s so much I love about running. I’m outside, I can pick my own route and it really helps clear my mind. It has definitely helped me create a nice work-life balance. No matter where you are, you can just throw on your shoes and go for a run. “In 2015 I spent six weeks of my long service leave volunteering with Worldwide Veterinary Service (WVS) in Botswana. WVS undertake a lot of desexing, training and education programs but, basically, they dispatch resources to wherever they’re needed and support community projects. My time in Botswana certainly gave me the opportunity to see the important work they do and how volunteers can make a difference to animal welfare and education in those communities. Visit Dr Thursfield’s fundraising page for WVS.